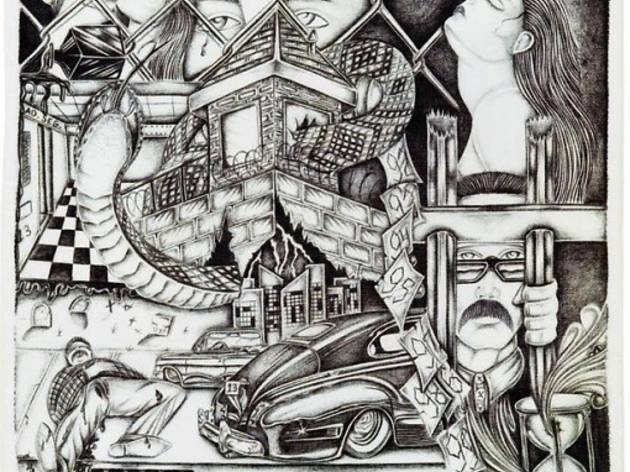 Convicts drawing on cotton handkerchiefs is the subject of this exhibition at the Galerie Christian Berst, which has a strong tradition of showing ‘outsider art’. 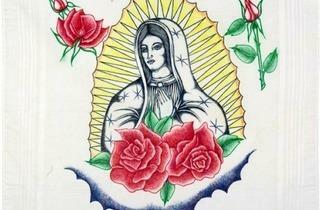 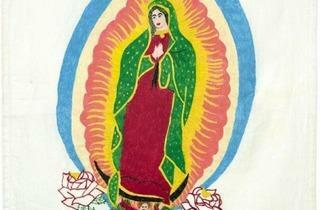 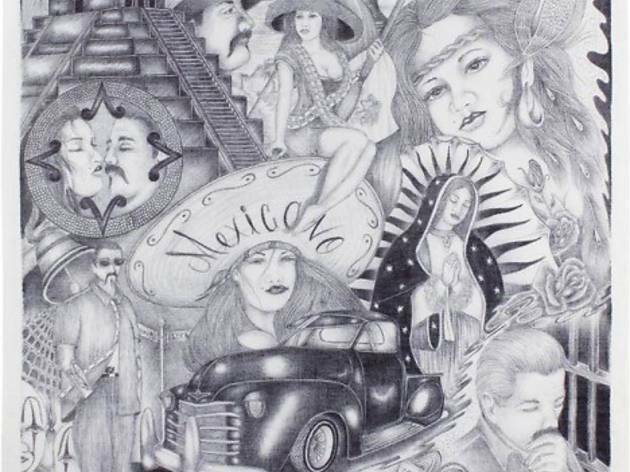 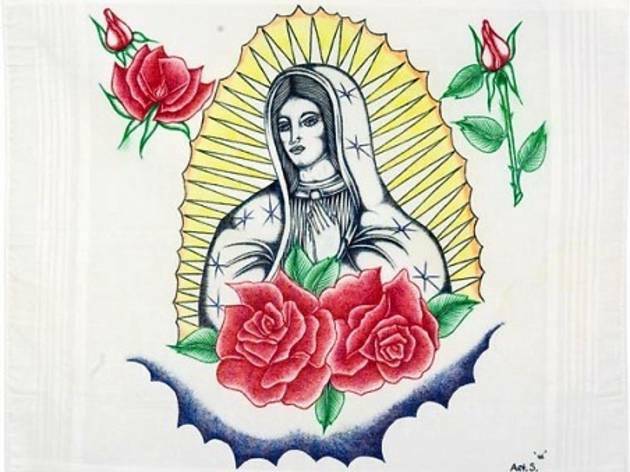 Guadalupe virgins, guns, Aztec pin-ups and big cars jostle for space on these little pieces of counter-culture, known as paños, drawn with biros, felt-tips or coloured crayons by Latino prisoners in the USA. 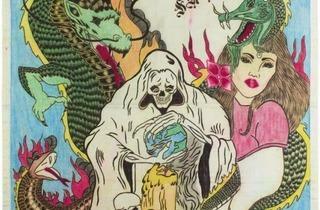 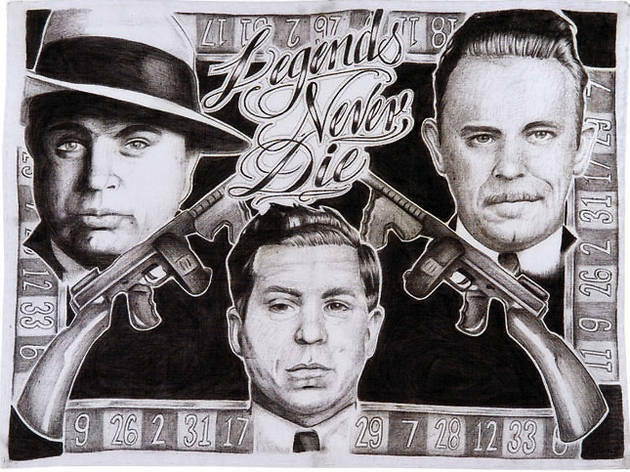 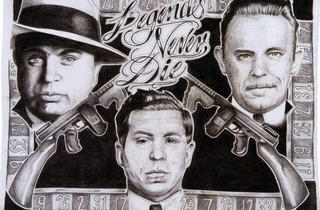 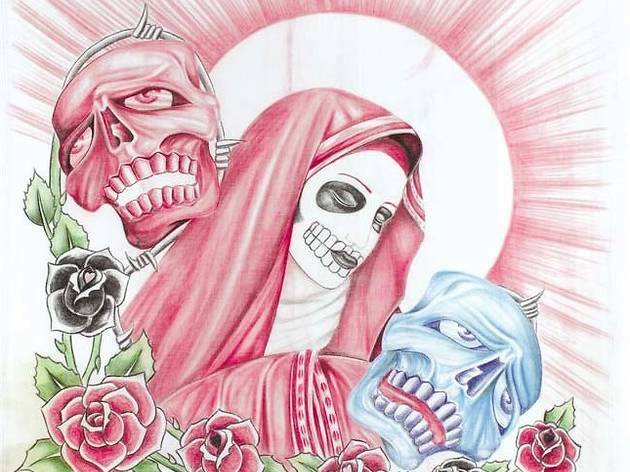 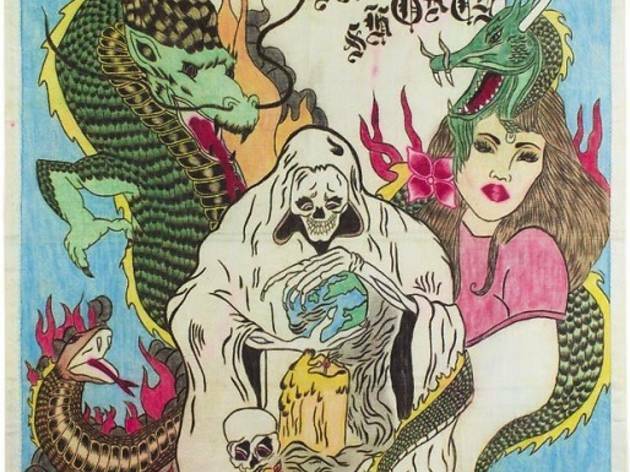 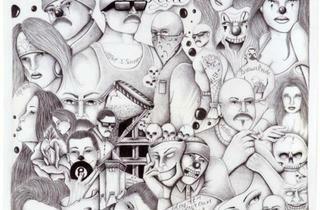 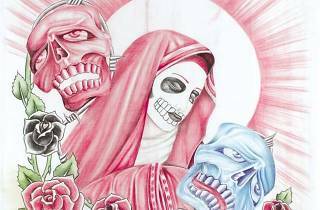 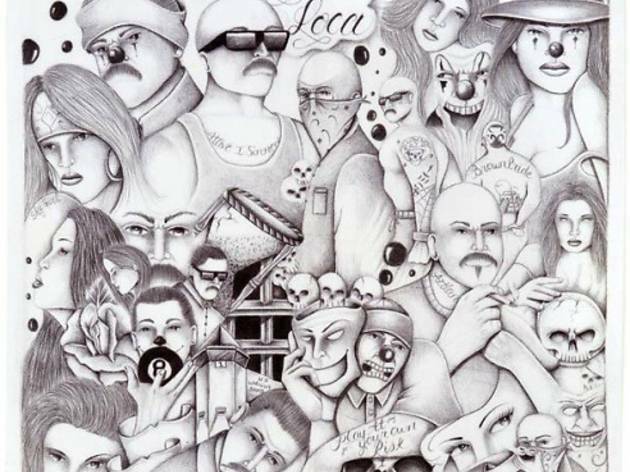 The tradition is long and rich, probably started by the chicanos in south west America in the 1940s to communicate with each other, and perpetuated today by the hundreds of inmates who have inherited a complex graphic mythology developed over many years. 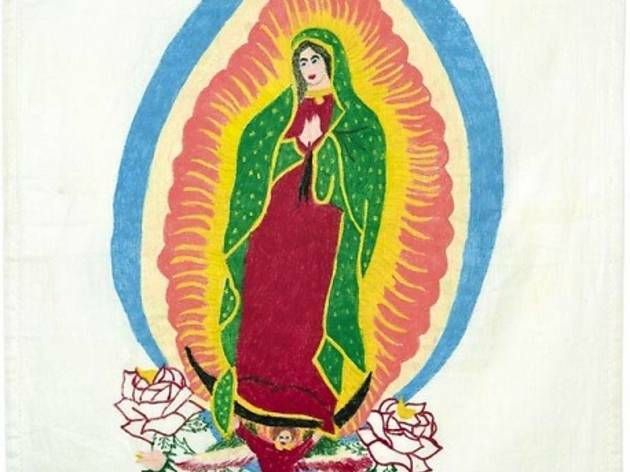 At the Christian Berst exhibition, 30 or so of these little flags of greeting, desperation and popular culture hang on the walls. 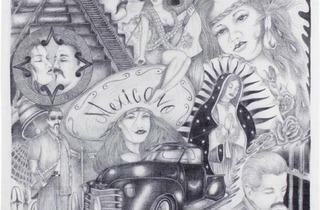 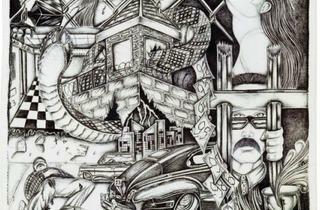 Busy with detail, each is heavy with symbolism: of waiting (clocks, hourglasses, bars), of Christian redemption (angels, Christ on the cross, the Virgin), of suffering (tears, grimaces of sorrow), of desire (naked women, eroticism), love (roses, hearts), crime (guns, dollars, gangs) and statements of Mexican culture (Zapatistas, Mayan pyramids).